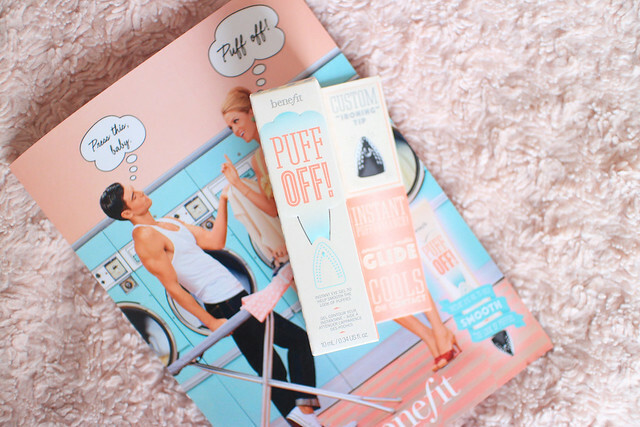 Benefit's newest launch had me pretty excited when it arrived at my door last week. As a sufferer of chronic sinusitis, my under eye area can get pretty puffy, especially during Winter when I always seem to be stuck with a cold. Puff Off aims to eradicate puffy eyes whilst smoothing over fine lines and soothing the under eye area. It's housed in the typical colourful and girly packaging Benefit is known for, and contains an iron-like applicator. This initially seems slightly gimmicky, however it works really well. The product, a lightweight gel/cream, is squeezed out the middle of the tip, and is applied by "ironing" it under your eyes. It feels surprisingly cooling on the skin, and the gel appears to give an instant brightening effect. It can be used before makeup is applied, or over makeup throughout the day. I prefer using this before I apply my under eye concealer, as it acts like a sort of primer. It applies slightly easier with this underneath and it doesn't feel as drying. 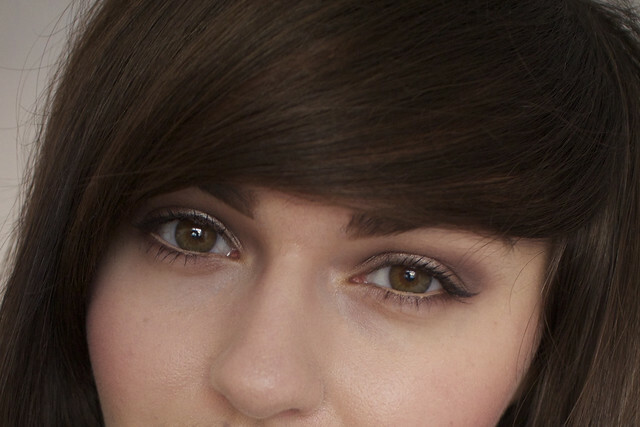 Puff Off does seem to make a difference to my under eye area. Take these two photos here for example, taken in March last year, and compare it with the one below. A definite improvement, no? While I wouldn't say this is a must have product for everyone, I'm definitely enjoying using it. I'm happy with the difference it's making to the appearance of my eyes after concealer and it's a fun product to have in my makeup bag. Puff Off will be available from 31st January and is priced at £22.50. This is definitely a product I want to try, even if I am slightly skeptical! I was at first but I'm really liking it! I think this is going to be a very popular product, who doesn't need a little help looking more awake & bright eyed. The iron applicator is cute too. 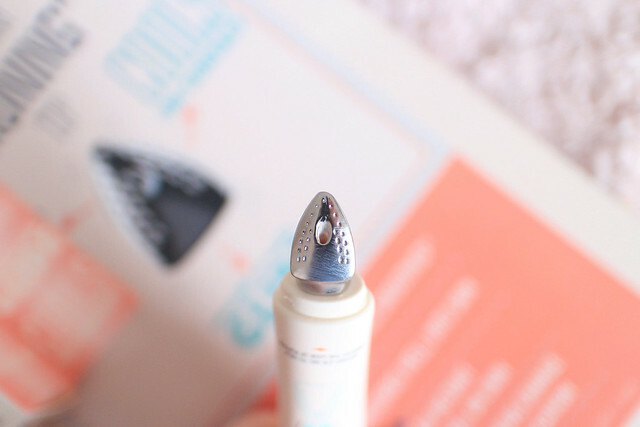 The iron applicator feels so cooling on the skin too! It'll be interesting to see more opinions on it!